Square CEO Jack Dorsey nabbed his biggest customer yet: Starbucks. 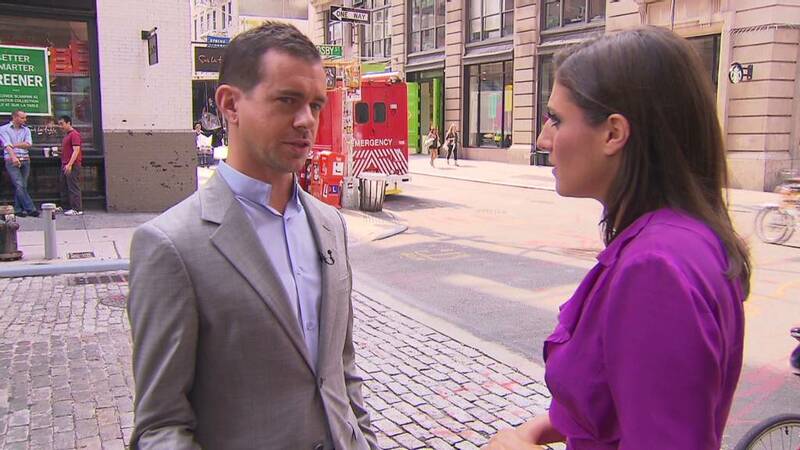 Two years ago, I met Square CEO Jack Dorsey at Third Rail, one of his favorite coffee shops in downtown New York. He held up a small plastic square and told me that the future of payments was in this tiny device. The entire industry was about to change, he said. Dorsey was in the middle of a major change himself. Recently ousted from Twitter, the company he cofounded, he rebounded by shifting his famously intense focus to a new pain point: the way we pay. Square's pitch -- a simple fee structure and technology that just works -- was a quick hit with small merchants like Third Rail. 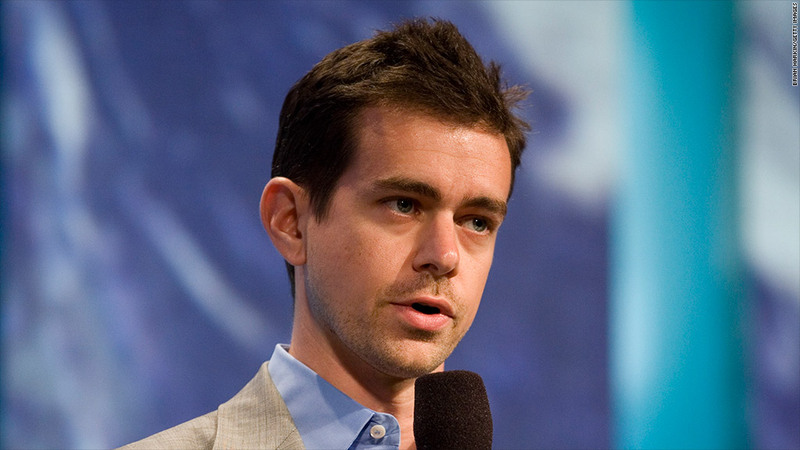 Square now has 2 million users and an annual transaction volume approaching $6 billion. That was just phase one, it turns out. Dorsey wasn't kidding about reinventing the entire concept of payments. Last week, he struck a partnership that will begin to bring his vision to the mass market. This fall, Starbucks (SBUX) will begin accepting payments through Square's mobile app. Customers will be able to pay for their lattes by holding up their phone and allowing Starbucks to automatically charge the customer's card on the back end. That's the first step. In the not too distant future, Dorsey and Starbucks plan to let customers ditch their phones completely. All they'll need is the Pay With Square app, which stores credit card numbers and other financial data, and a name. The system uses the phone's GPS to detect that you've walked into a Square-enabled retailer. The store's checkout software then automatically connects with your Square app. "You can actually walk into a merchant, keep your phone in pocket, keep your wallet in your pocket, and a picture of you pops up on the register," Dorsey told me. "You can just say 'I'm Laurie, and I'd like a cappuccino,' and your card is charged in the background." Square has been experimenting with that kind of almost invisible payment system at small shops like New York's Café Grumpy, but Starbucks can dramatically accelerate it. The company averages more than 8 million customers a day. Those shoppers are already embracing mobile payments. Starbucks introduced its own pay-by-phone app last year and is now doing 1 million transactions a week through it, according to CEO Howard Schultz. "I can't think of anything we've introduced in the last 40 years that had this kind of adoption," Schultz said. It was Schultz who reached out to Dorsey. He had been contacted by a variety of companies focused on mobile payments over the last six months, but turned his attention to Square after Adam Brotman, Starbucks chief digital officer, took the technology for a test drive. "Once Jack and I sat down, it was very obvious," Schultz said. Square's fee structure -- a flat 2.75% fee per credit card swipe -- is a better fit for small businesses than large ones, which have the heft to negotiate better terms with their payment processors. Starbucks appears to have scored a break from Square to lure it aboard: Schultz said the company will save money through the arrangement. A Starbucks representative wouldn't elaborate on the financial terms, saying only that "it will be a reduced cost over what our current provider is charging us." Will this open the door to bringing other big brands aboard? "We're open to large retail, medium retailers -- we want this to be a general transaction experience that benefits everyone," Dorsey said. "Starbucks started as one coffee shop in Seattle, and the way its grown has been fantastic. We want that same sort of trajectory for all of our merchants." There's a land grab happening right now in the mobile payments space. eBay's (EBAY) Paypal is fighting to extend its Web payments empire, while new entrants like Google (GOOG), which recently updated its Google Wallet app, are trying to carve out territory. Visa, (V) Mastercard (MA)and the traditional giants -- which make money off every swipe -- are experimenting widely. Dorsey hopes to eclipse them all by pursuing the most radical vision. That little plastic device that put Square on the map? He can't wait till it disappears. That's Dorsey's ideal payment process: Just your name, your coffee order, and a system that invisibly takes care of the details. "We are building technologies that fade away, that go into the background so people can focus on what is most meaningful to them," he said.